Internet usage is fairly new in Cuba, so forget the ease and freedom of wifi in the rest of the world. There are wifi hot spots near big hotels and a few other places. Look for Cubans crouched around the perimeter of a building on their phones and you have it. In all cases, you need to buy a wifi card to use the wifi. This is not an easy task. 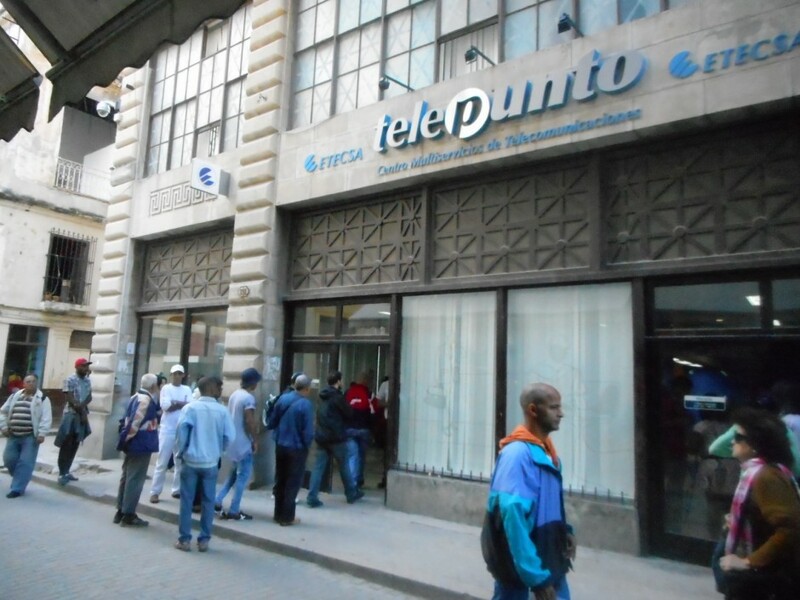 The Etesca office on Obispo in Havana has a long queue all day long – and you need to bring your passport. Much like an old bank teller window deal, you stand outside and are slowly let in, waiting to buy one hour internet access cards ($2/HR.). 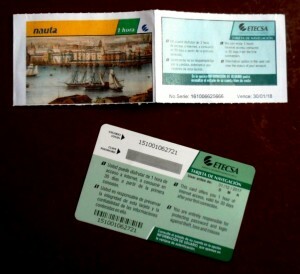 Internet cards look like lottery cards, with scratch off passwords or tear off tabs. They will register your passport number when you are issued the cards. A Cuban buddy told me that Cubans can only buy 2 hours at a time and need to stand in line again. (1 hr. +) I’m not sure if the passport registration is to ensure more control over the internet or what, but the Cubans I talked to are sure their usage is monitored and controlled and seemed to think ours might as well. Hard to say – but I certainly kept any outgoing messages on the happy channel. You can also buy them at the upscale hotels much easier, but at probably double the price.